Looking for a legal way to watch the Cowboys online this season? Click now to learn how to access Dallas Cowboys live stream without cable TV! All the channels you need plus NFL SUNDAY TICKET. Every channel you need and stream on up to five different devices. Cheapest option, but you’ll miss the NFL Network. *Autopay & Paperless bill req’d. $105/mo. in months 13–24 (subject to change). Are you ready to watch a new season of Dallas Cowboys football? Pressure is on for quarterback Dak Prescott to get his team to the playoffs as Ezekiel Elliott returns to the helm. With all that going on behind the scenes, you’ll definitely want to watch every Cowboy game and check out their improved offense. Fortunately, we can help you do that. Learn how you can watch the Dallas Cowboys for this upcoming 2018–2019 season with the guide below. Out of the 16 games the Cowboys will play this season, 10 of them are available on FOX. NBC will host three of the remaining six games. CBS will play two, and ESPN will take over for one of the games. You can check out the Dallas Cowboys 2018 schedule below. Below is a list of all the channels available with the services we’ve recommended. Still not sure which service to pick? You’re in luck. Next up, we’ve got the nitty-gritty details on each one to help you make your choice. If you’re looking for consistency, DIRECTV offers the most reliable picture quality and a juicy amount of channel counts. That being said, the most important feature of DIRECTV’s package is NFL SUNDAY TICKET. DIRECTV’s package does have some details that are important to go over. First, the package states that it is $45 per month This is true, but only after you’ve signed up for autopay and paperless billing. Next, $45 per month is the price for the first year. Since this is a two-year contract, you ought to consider that the price goes up to $105 per month in the second year of your contract. This may seem like a pretty steep price hike, but in the long run, the cost is on par with other satellite TV services like DISH— with the addition of NFL SUNDAY TICKET (more on that in a sec).  DIRECTV provides additional entertainment opportunity with access to over 180 channels. So you can set up your Genie DVR to record some of the latest dramas, like The Walking Dead, between games. This gives you and the family something to watch after a Cowboy victory. When you sign up for DIRECTV’s CHOICE package, you’ll get NFL SUNDAY TICKET included for the first year. That’s a huge bonus for long-term Cowboys fans since it offers all the out-of-market regular season football games that aren’t available on your local channels. There is something you have to be aware of though—if you want to keep NFL SUNDAY TICKET for the following season, the package will cost somewhere around $293. If you don’t want it, you have to make sure to cancel before the next season starts or you’ll get billed for it anyway. Yeah—we’re not a big fan of that either. But the amount of football coverage you get is probably still worth it. PlayStation Vue offers some of the best of what streaming has to offer with access to over 80 channels from TV, laptop, tablet, and mobile devices. Sign up now for a 5-day free trial. For $49.99 a month, you get access to over 60 different channels—without the contract you’d get from DIRECTV. You also get to use the unlimited DVR feature that allows you to save hundreds of hours of content for up to 28 days. Most importantly, you get all the Dallas Cowboys football games that are available through local channels and the NFL Network. You can even get the NFL RedZone add-on for an additional $10 a month if you want even more football. Can I watch every Dallas Cowboys game? PlayStation Vue does have its flaws when it comes to low FOX availability. Some fans may be unable to get access to FOX channels depending on their region.This may hurt Cowboy fans especially considering that majority of Cowboy games are played on FOX channels. Check to see what local channels are available with PlayStation Vue. Fortunately, you don’t need to have a PlayStation device to be signed up on PlayStation Vue. Despite its name, PlayStation Vue is compatible with most major devices, which means you’ll have no trouble watching the Dallas Cowboys if you don’t own the console. YouTube TV offers great service at a quality price. It’s perfect if you’re looking to share an account with family and friends, especially with its unlimited DVR. You can try it out and watch Dallas Cowboys games for free with a 7-day trial. For only $40 a month, YouTube TV is the best option for those looking to spend less and get more out of a streaming service. It lets you stream on up to six different devices and share an account with up to six other people, and it gives you unlimited DVR space for all the show-hoarders in your family. Of course, YouTube TV’s awesome DVR isn’t totally perfect. Sure, you can store as many hours of entertainment as you want—for up to nine months. After that, things get deleted. But that still gives you more time than PlayStation Vue does, so whether you want to save some of the best highlights of the Cowboys’ season or need to catch up on last week’s game, YouTube TV’s your best option. With its low price and unlimited storage, YouTube TV seems like the best option overall, and to many subscribers it is. But, like PlayStation Vue, YouTube TV’s game availability relies on what local channels are available in your area. You can check out our YouTube TV review to make sure what channels are available near you. Unfortunately, YouTube TV doesn’t have access to the NFL Network, so if you want to stay up to date on everything happening during the pre-season or training camp, you may be at a loss. If you’re looking to have more nationwide access to every football game, you’re again probably better off with DIRECTV. It’s a make-it-or-break-it season for quarterback Dak Prescott, and you won’t want to miss it. Whichever option you pick from our list, what’s important is that you get a service that works for you—then you can lie back, relax, and watch your Dallas Cowboys make it all the way to the playoffs. Have your own recommendation? Comment below and let us know how you watch the Dallas Cowboys play.